Beautifully designed brass radiator grilles gives you the chance to enrich your room decor style whilst also building extra practical shelf space. The metal radiator covers, can be supplied in a range of different finishes that will boost your style and your room’s interior design. Ensuring that the radiator grille and its surrounding cover are designed so that there is sufficient space above and below the radiator itself will help with convection and the overall efficiency of the radiator. 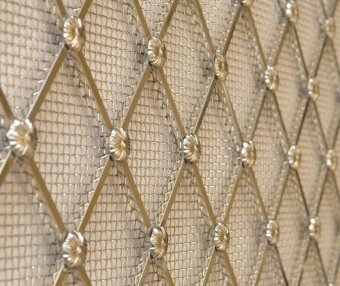 Here at Brass Tacks, our tried and tested manufacturing techniques mean that we can deliver bespoke brass radiator grilles to precisely match what you need. This level of accuracy is particularly important if your project requires to replace or replicate existing historical designs. By selecting one of the many types of final finishes, you will be able to either a traditional or contemporary style. We would welcome the opportunity to discuss the design and manufacture of you bespoke radiator grilles, so please give us a call on 0208 866 8664 or send us an email and, we’ll be happy to help.